Please try and get to one of these – don’t become a statistic – according to the Fire Service, a massive 28% of boat fires cause fatalities. 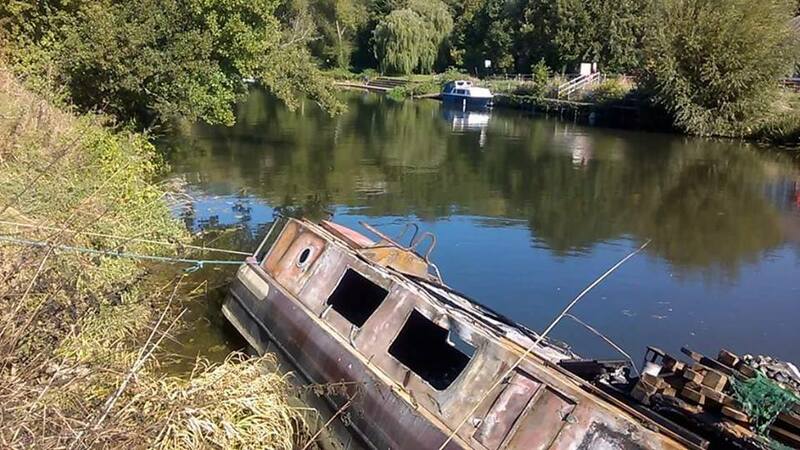 Don’t let this happen to you, come and find out how to prevent fire hazards on your boat. The Fire Safety sessions are organised by Julian House Travelling Communities Support Service in conjunction with Dorset and Wiltshire Fire and Rescue Service. The Fire Service will continue to offer fire safety advice on the towpath or you can request a free boat fire safety visit. If you would like a free Fire Safety check on your boat, contact the Fire and Rescue Service and ask for a home visit – see https://www.dwfire.org.uk/ or call 0800 038 2323. The Fire and Rescue Service also runs a stall offering public fire safety advice – including boat fire safety – at the Shambles indoor market, Market Place, Devizes on the last Thursday of every month. If you would like a Fire Safety check on your boat, if you are in the Avon area (west of Dundas) contact Avon Fire and Rescue Service on 0117 926 2061. This entry was posted on Sunday, November 25th, 2018 at 11:01 pm	and is filed under Community, News. You can follow any responses to this entry through the RSS 2.0 feed. You can skip to the end and leave a response. Pinging is currently not allowed.